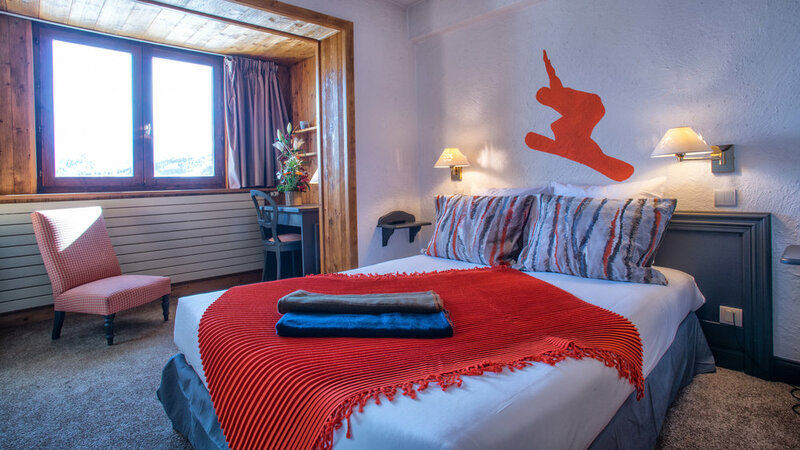 Nestled high up on the Bellecote slope, this 3 star hotel has a wonderful peaceful outlook and has been newly renovated throughout, offering a large selection of room types to satisfy the demands of a discerning skier. A spacious friendly restaurant, a large sunny terrace, pizzeria and spacious ski shop assures that all your needs are catered for. Additionally a twice hourly complimentary navette service provides access to the village. Nestled high up on the Bellecote slope, the 3 star Hotel Le Courcheneige has a wonderful peaceful outlook and has been newly renovated throughout, offering a large selection of room types to satisfy the demands of a discerning skier. A spacious friendly restaurant, a large sunny terrace and spacious ski shop assures that all your needs are catered for. Additionally a twice hourly complimentary navette service provides access to the village of Courchevel 1850.